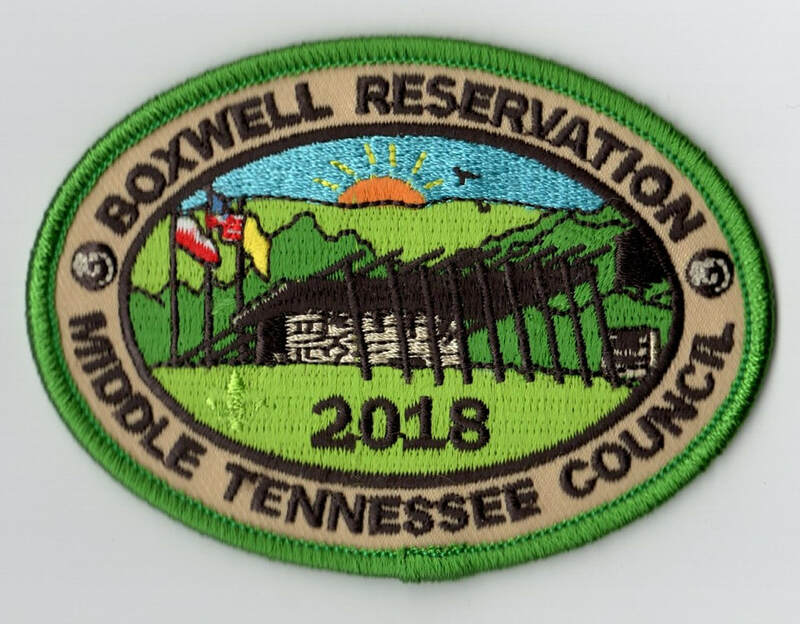 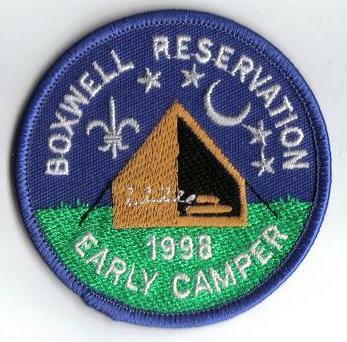 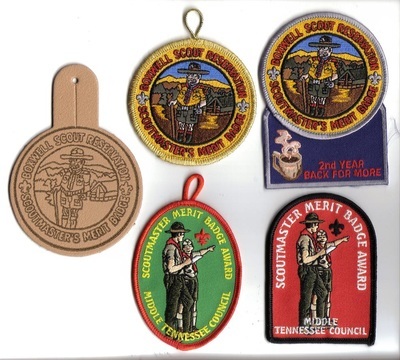 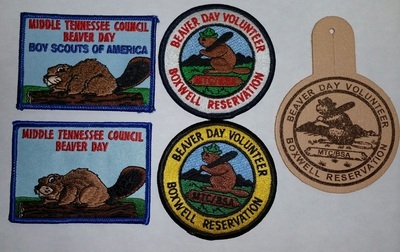 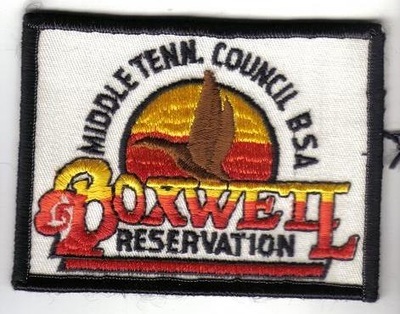 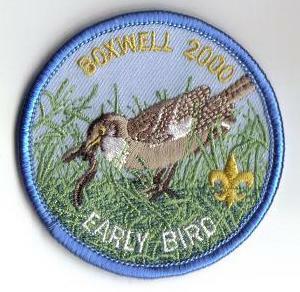 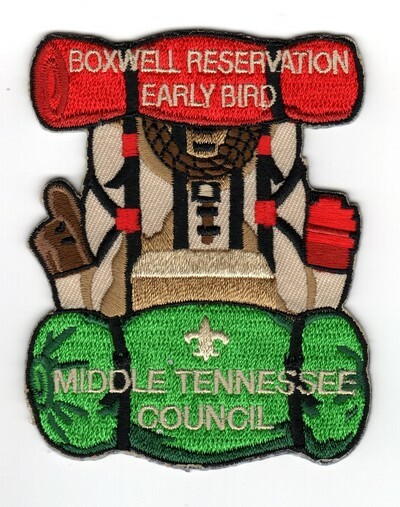 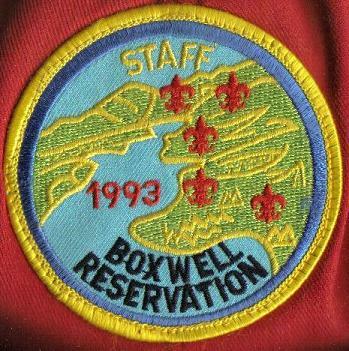 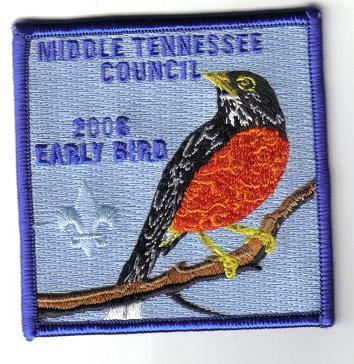 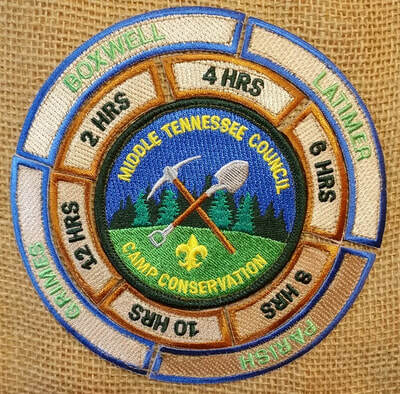 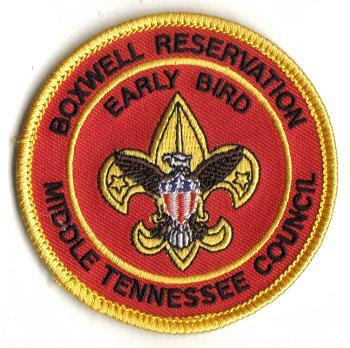 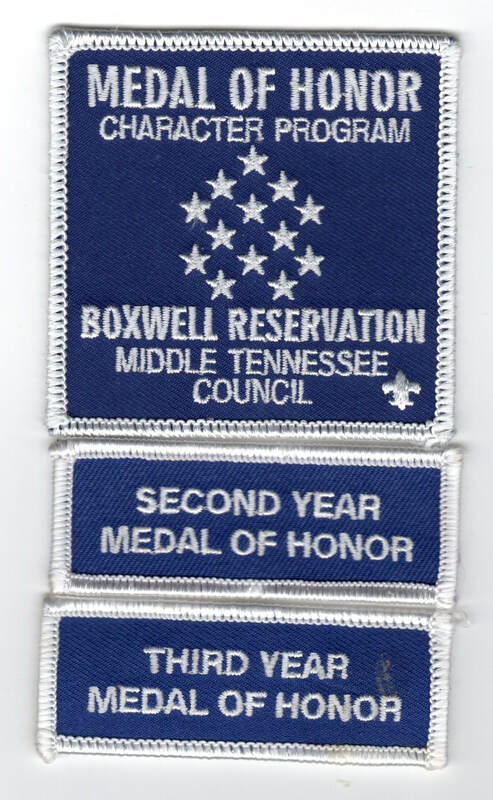 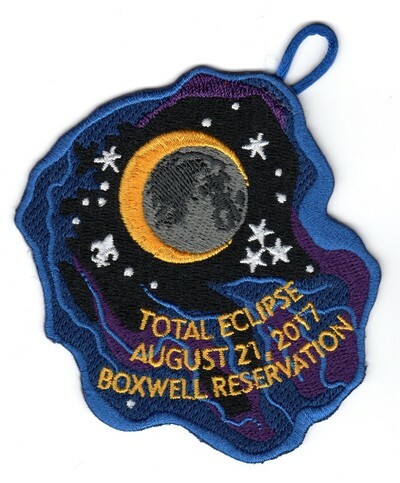 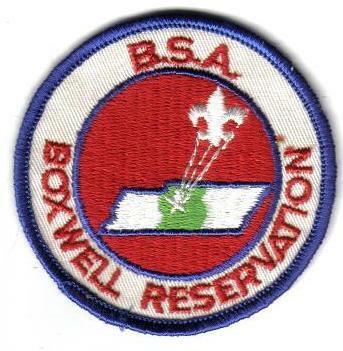 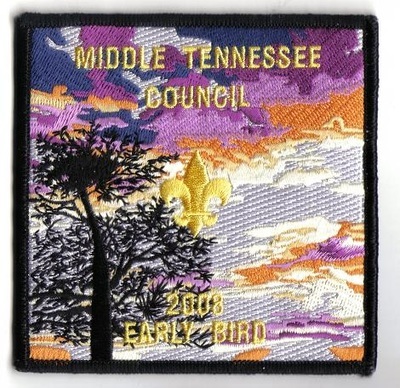 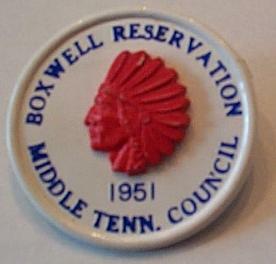 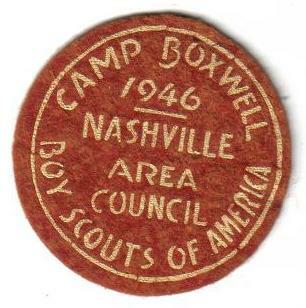 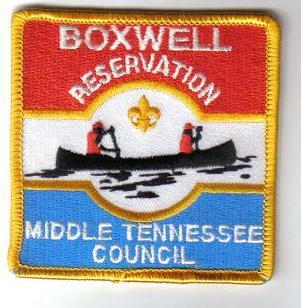 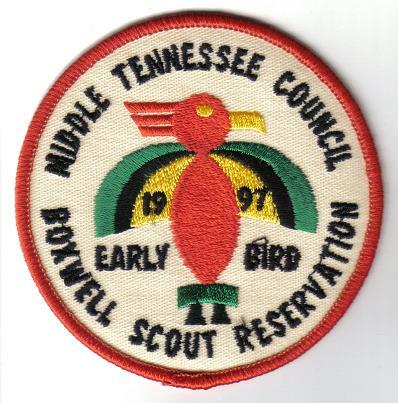 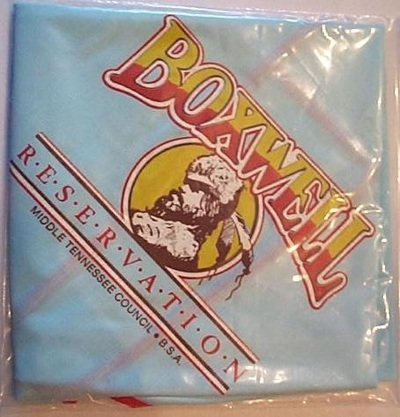 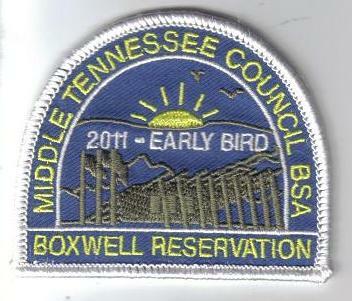 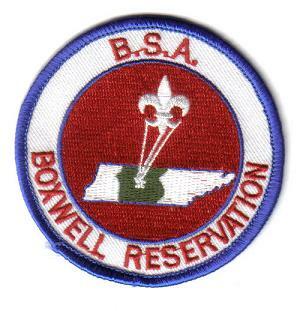 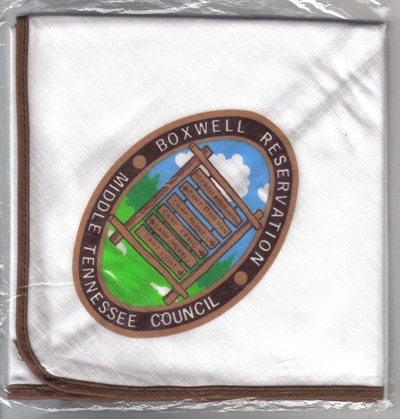 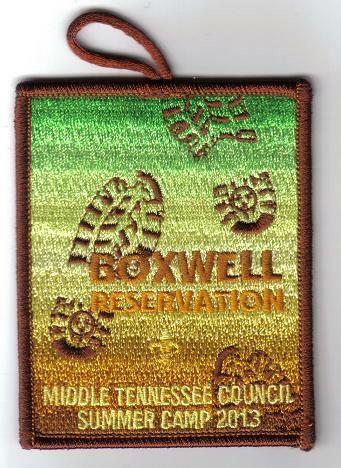 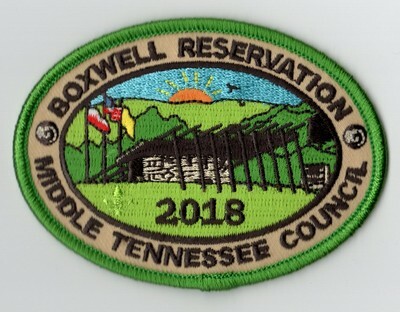 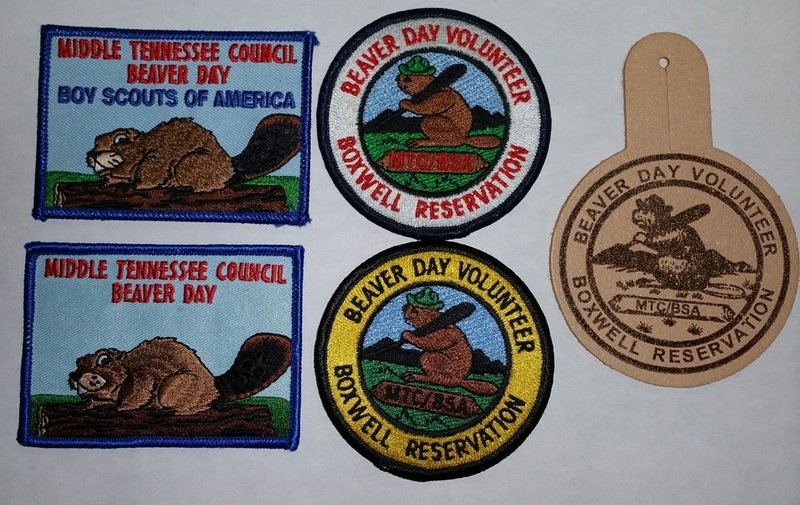 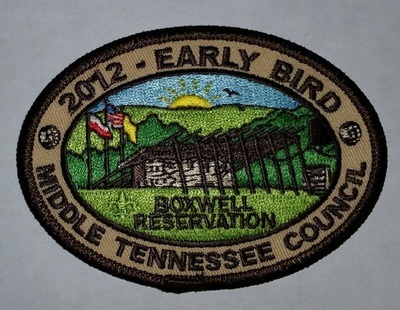 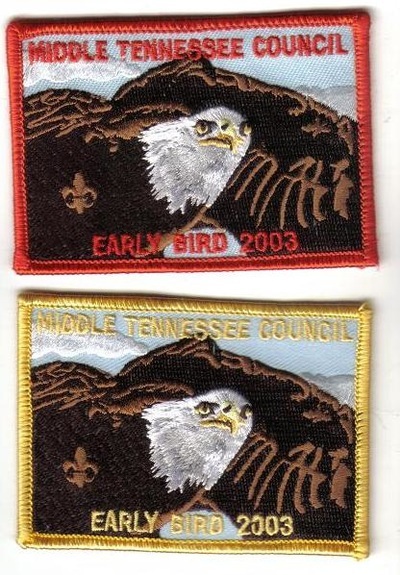 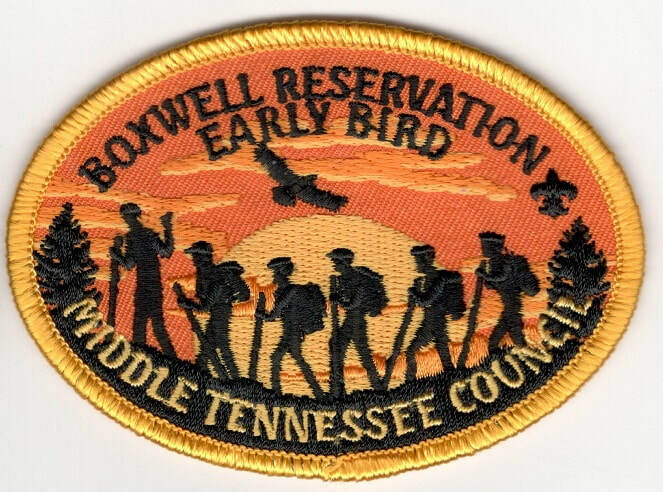 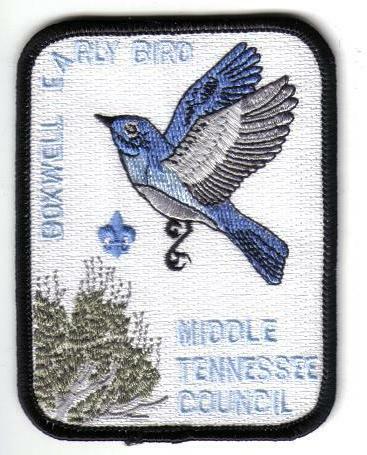 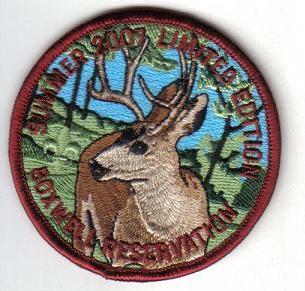 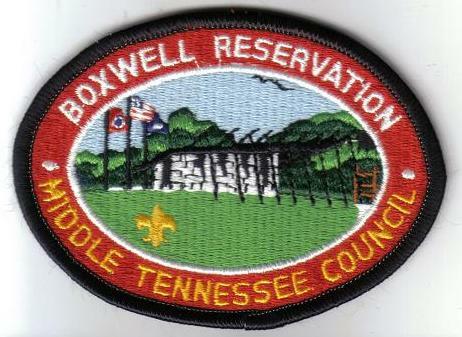 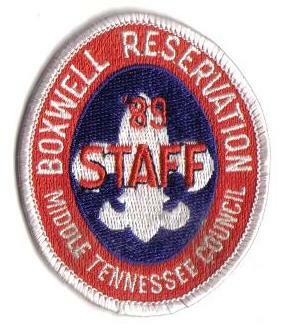 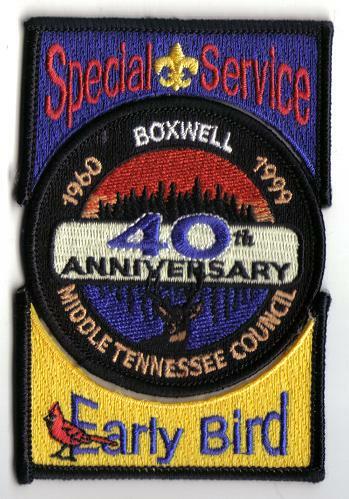 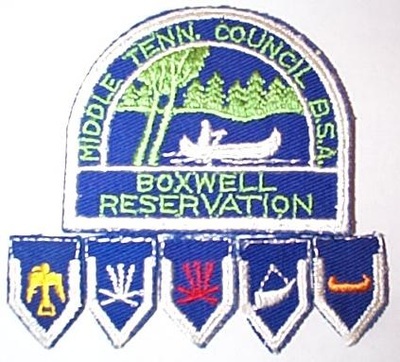 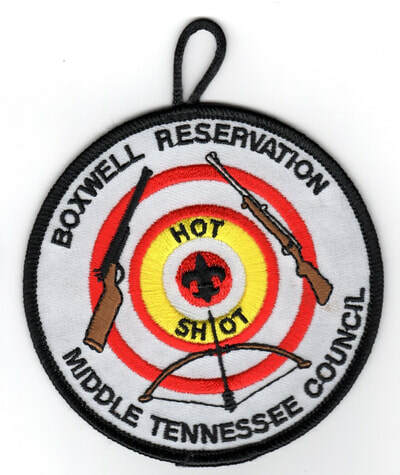 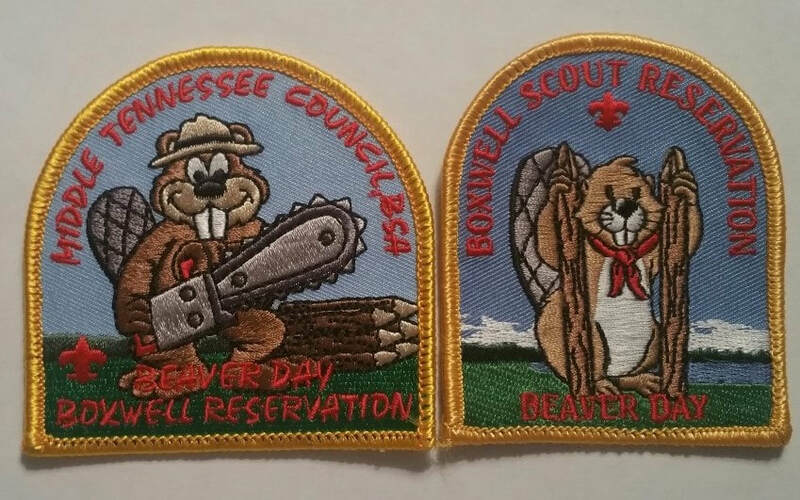 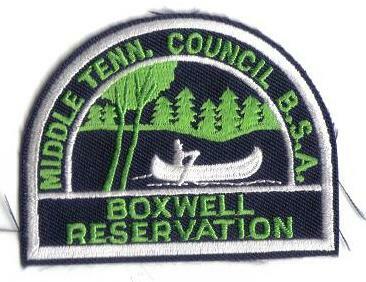 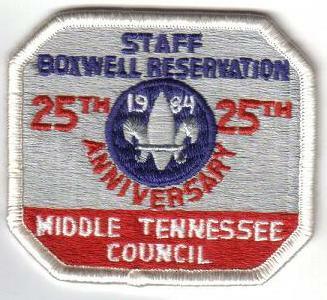 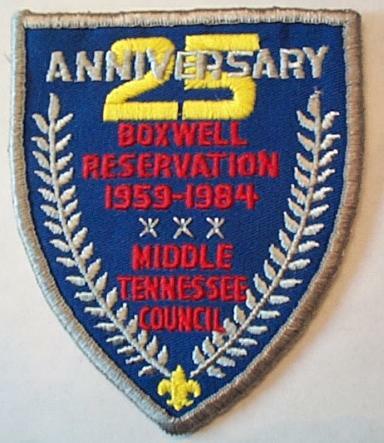 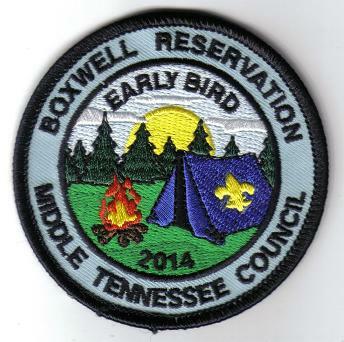 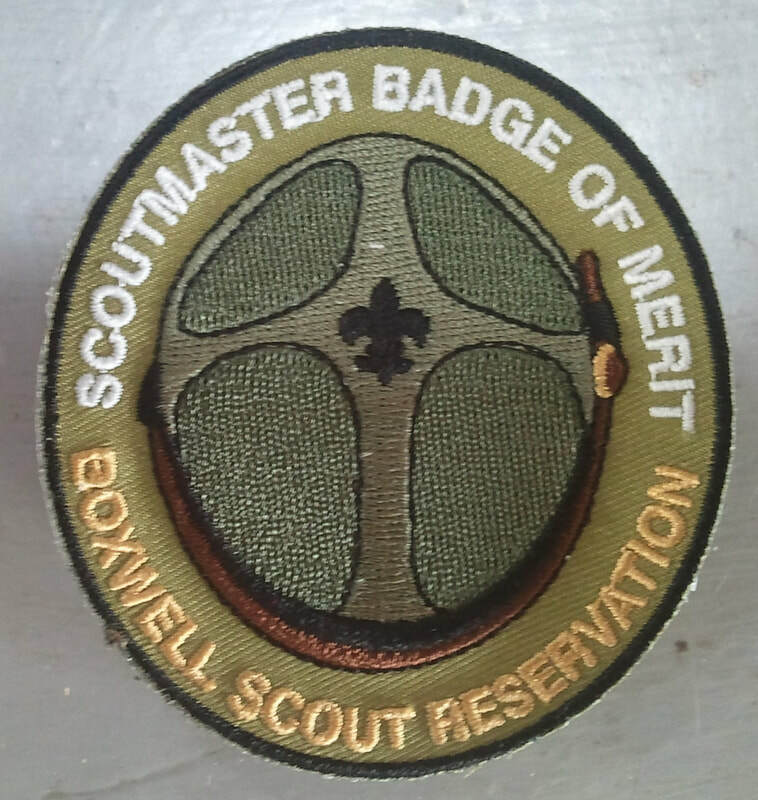 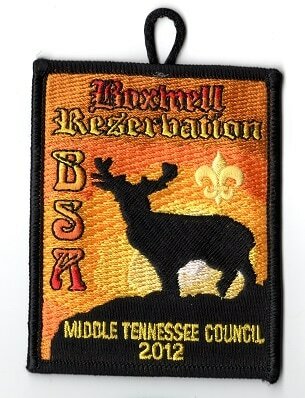 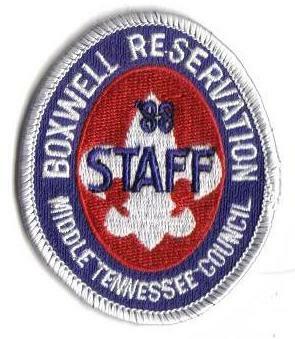 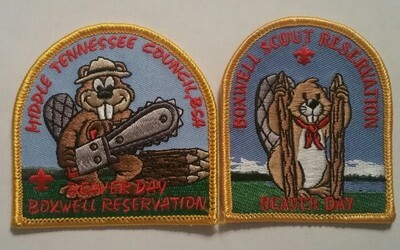 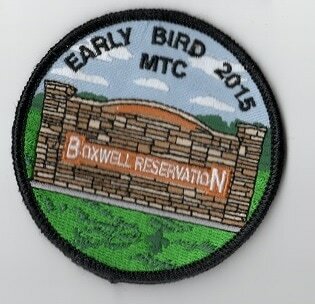 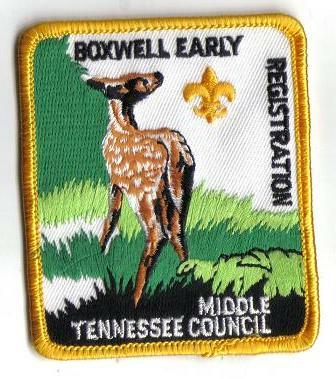 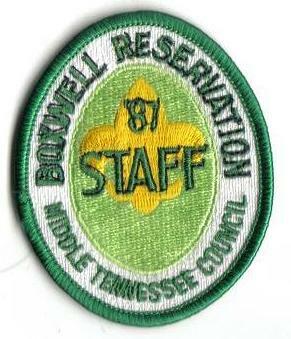 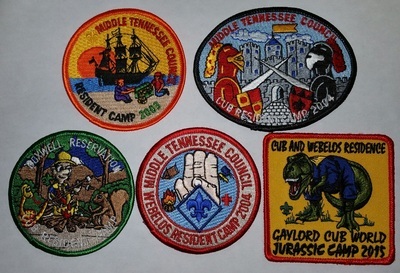 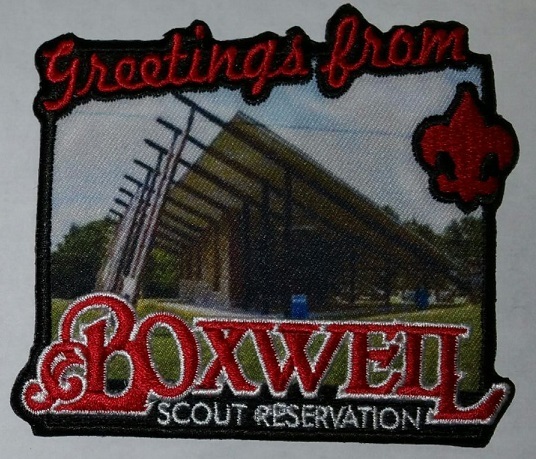 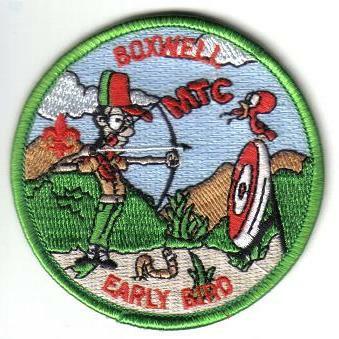 Middle Tennessee has several camps, but Boxwell Reservation is the main summer camp for the council and has been for many decades. 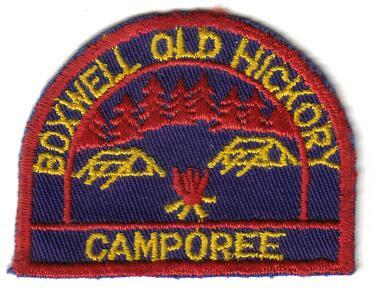 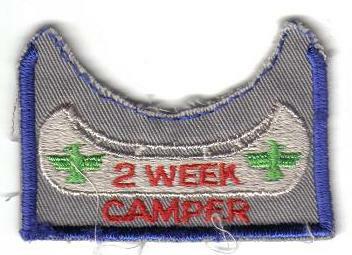 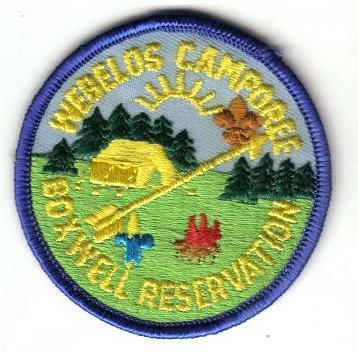 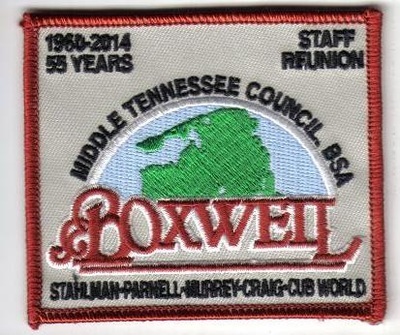 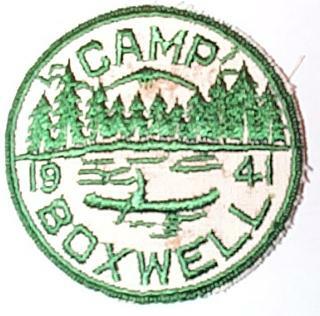 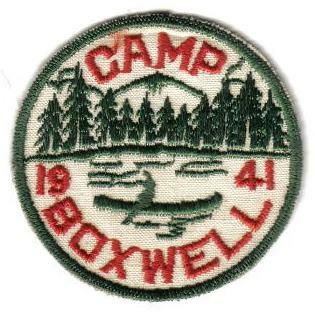 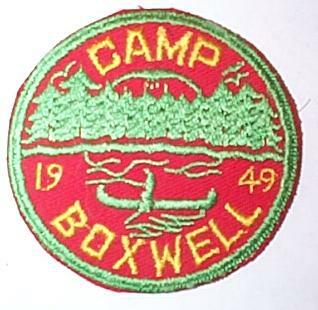 The first Camp Boxwell was located in Linden, Tennessee in the 1920s. 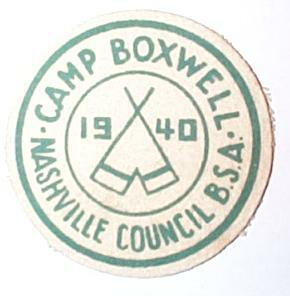 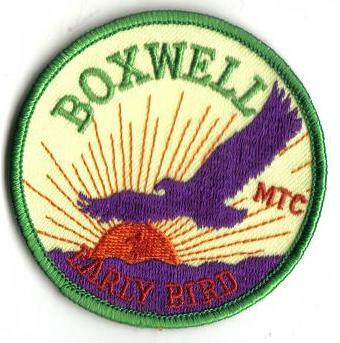 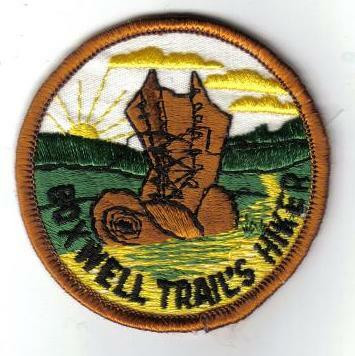 By the 1940s, Camp Boxwell was located at the Narrows of the Harpeth. 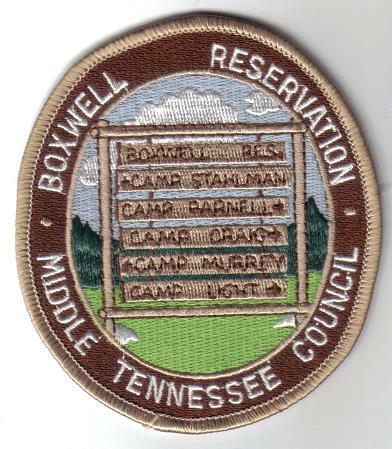 In the 1950s Camp Boxwell was in Walling, Tennessee in the camp still owned by the council and called by many names including Rock Island, Camp Tubb, and now Charles Parish Wilderness Reservation. 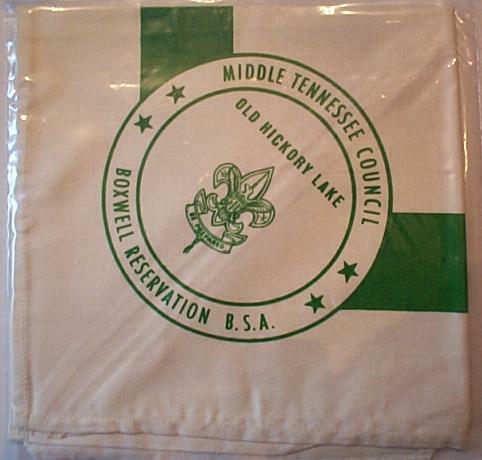 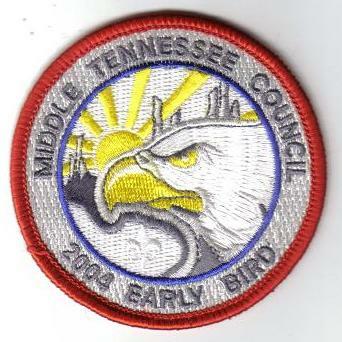 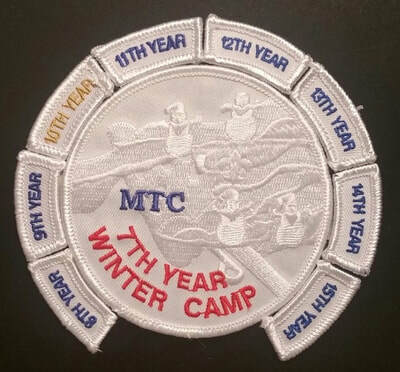 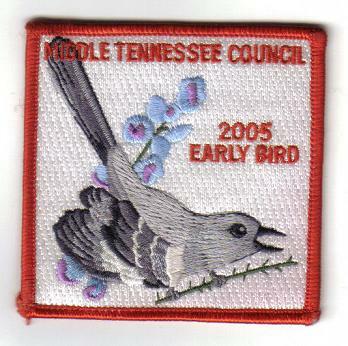 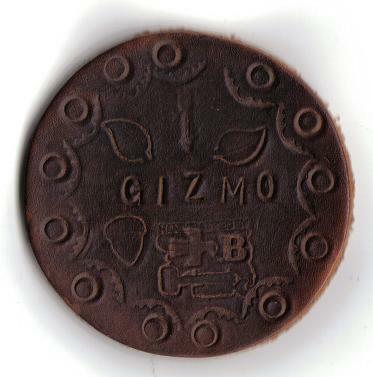 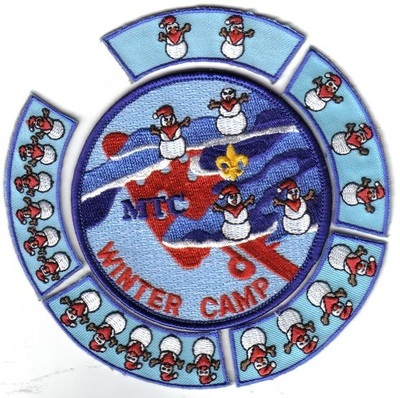 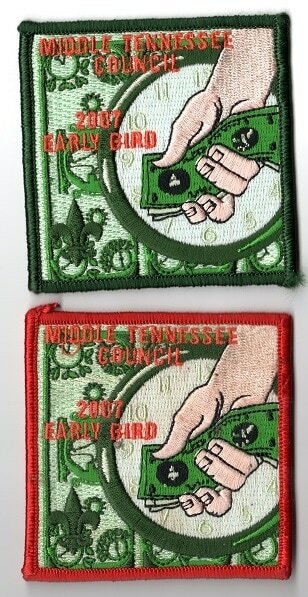 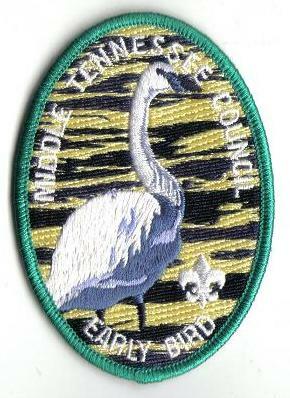 1960 was the first year it held summer camp at it's current location, in Lebanon, Tennessee. 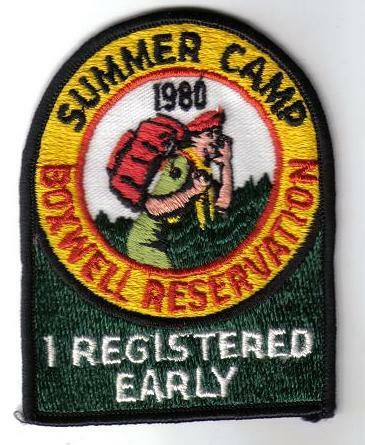 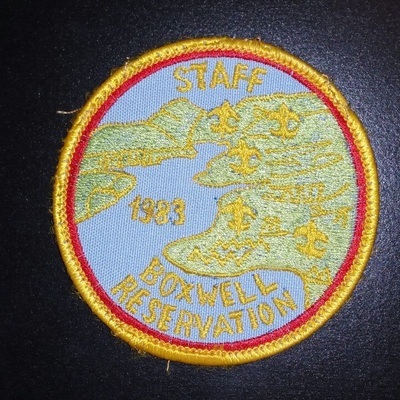 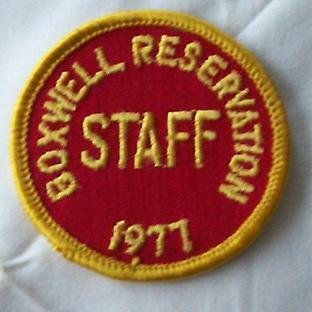 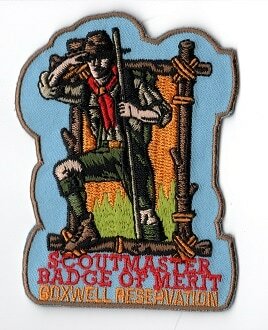 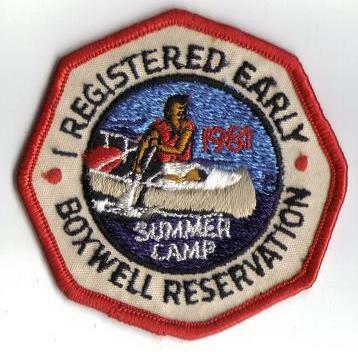 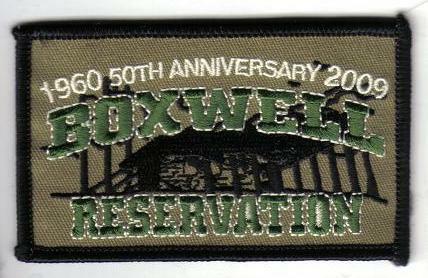 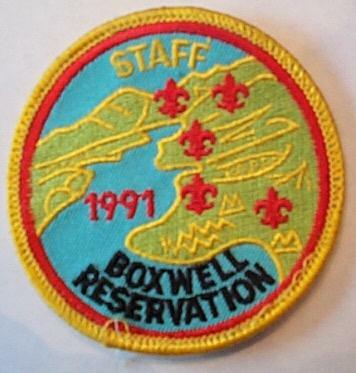 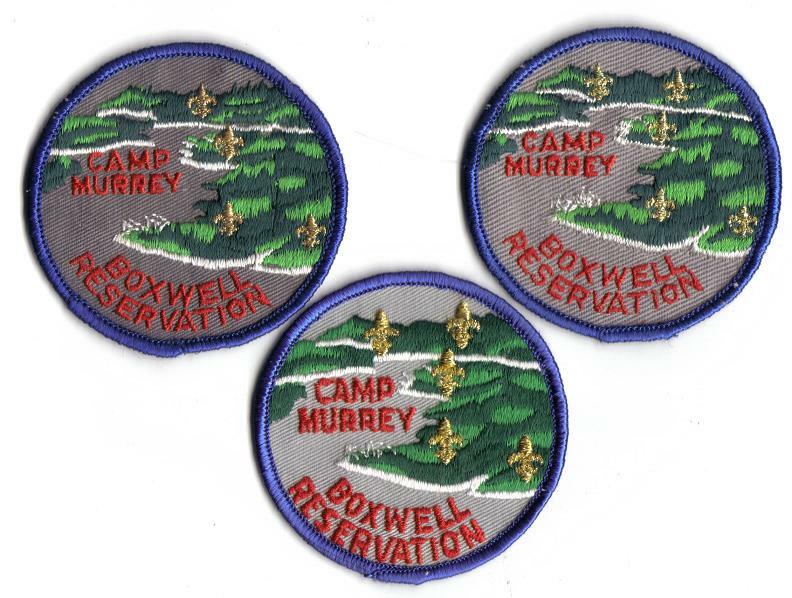 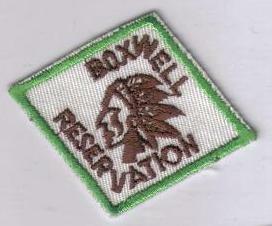 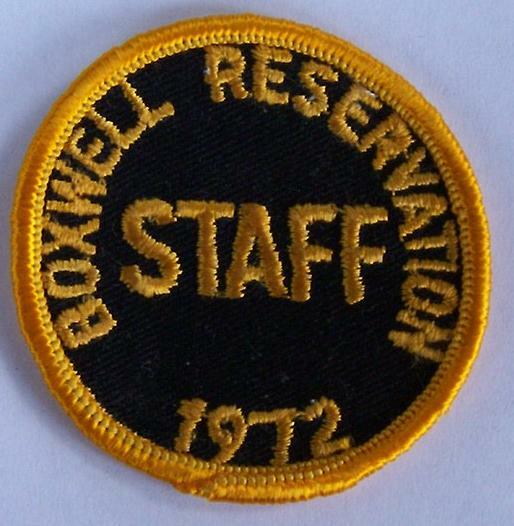 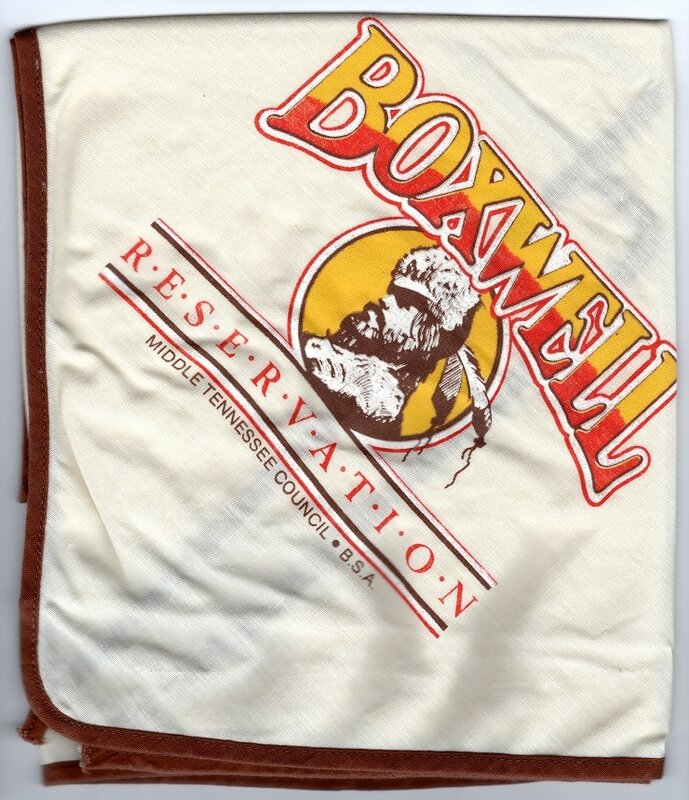 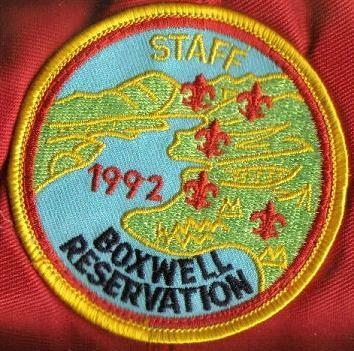 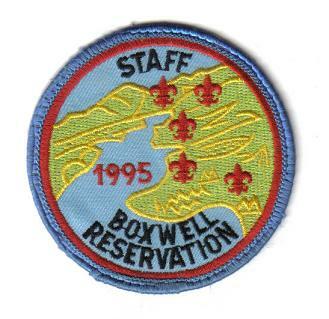 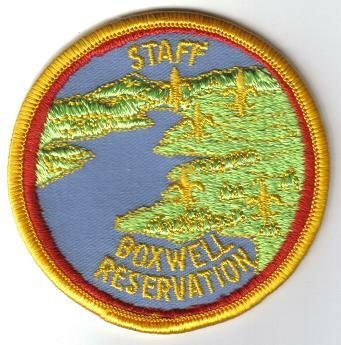 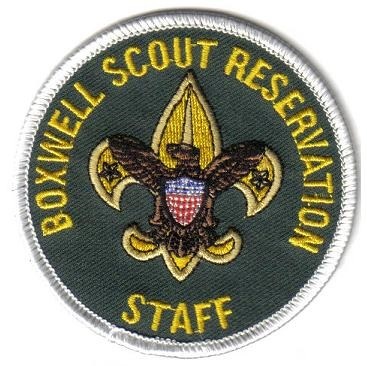 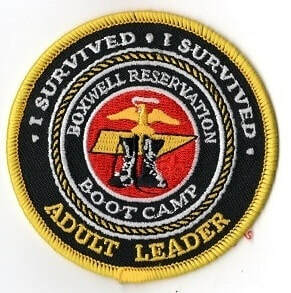 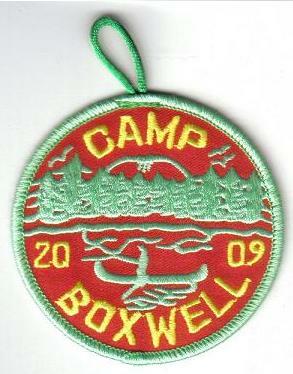 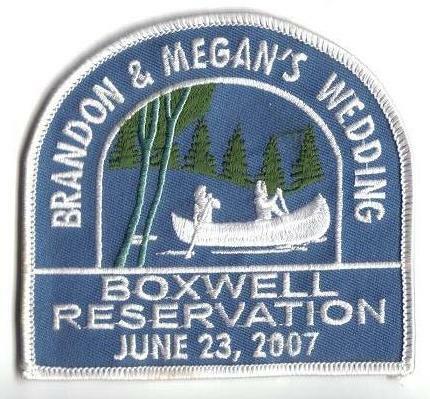 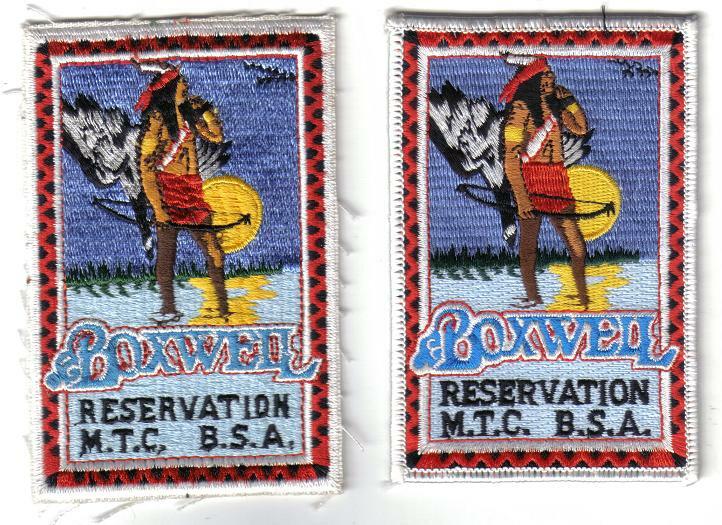 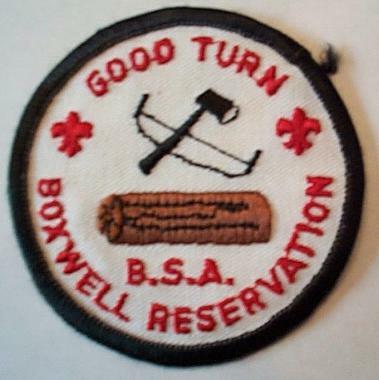 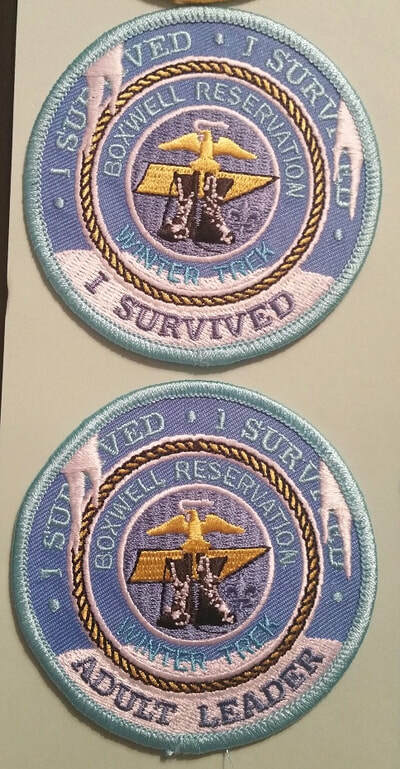 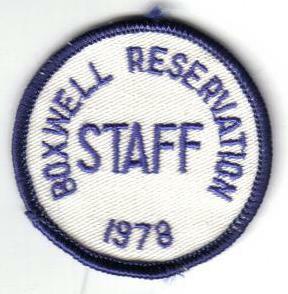 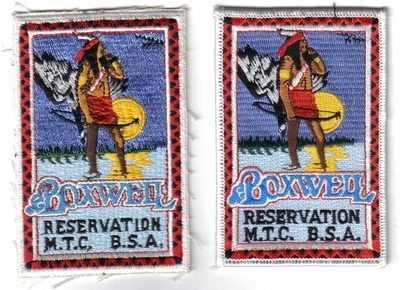 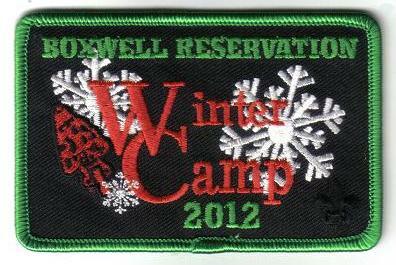 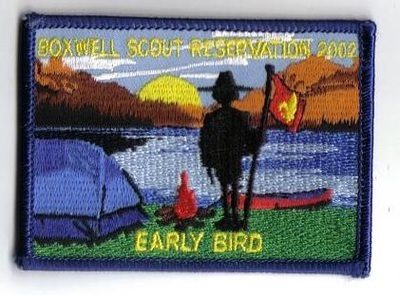 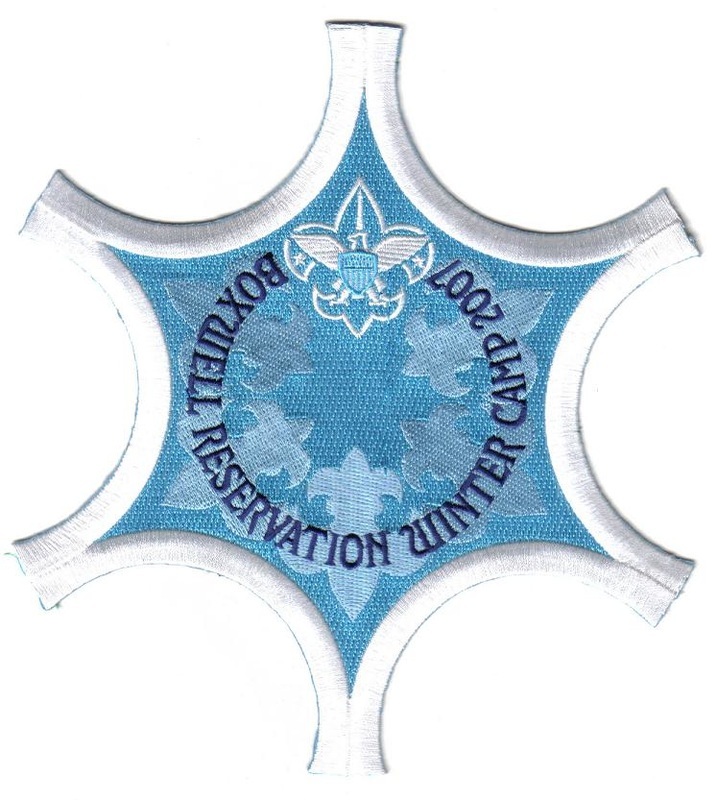 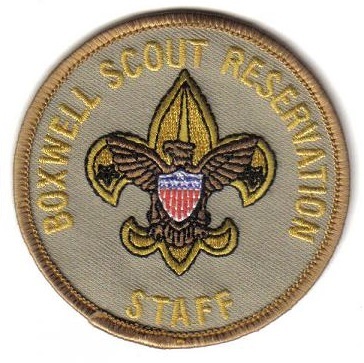 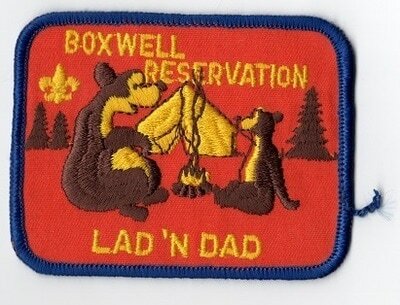 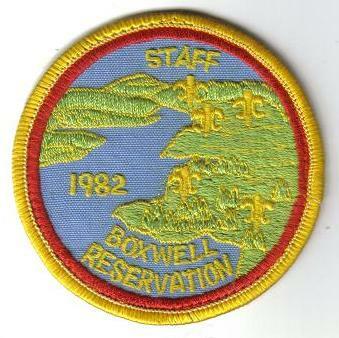 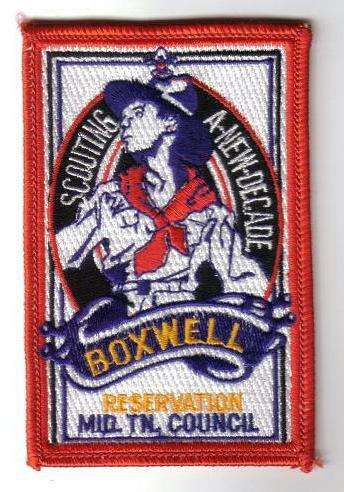 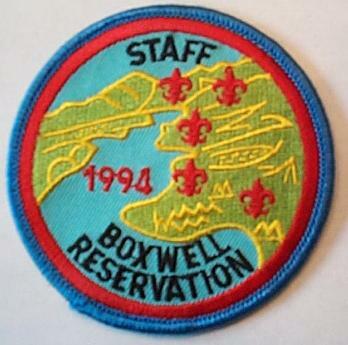 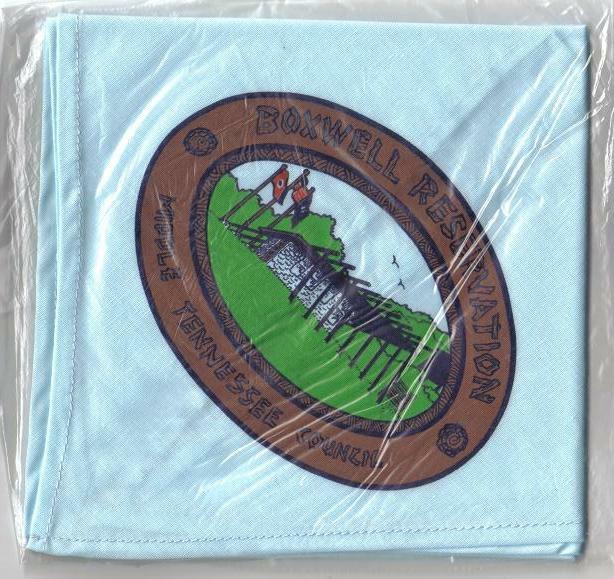 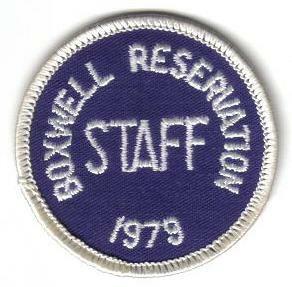 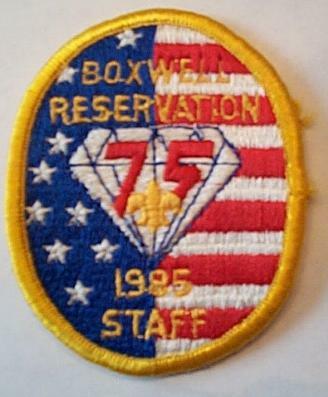 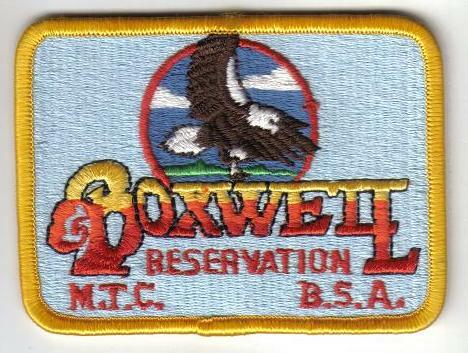 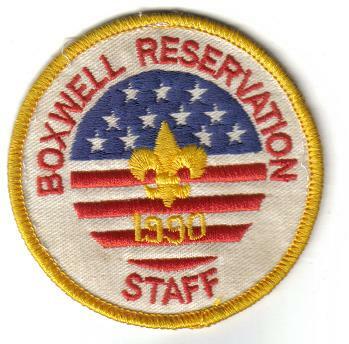 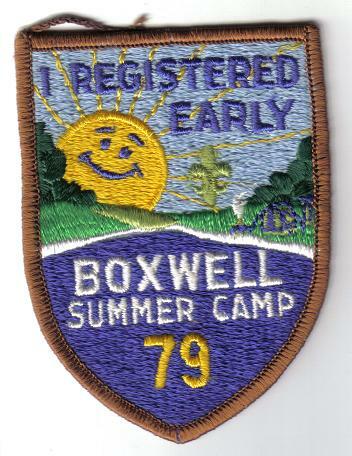 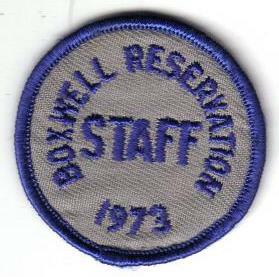 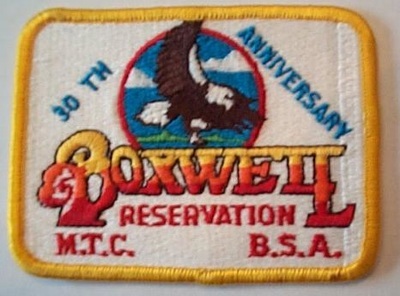 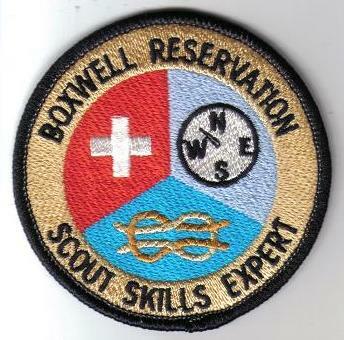 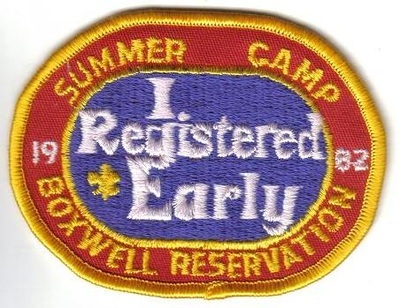 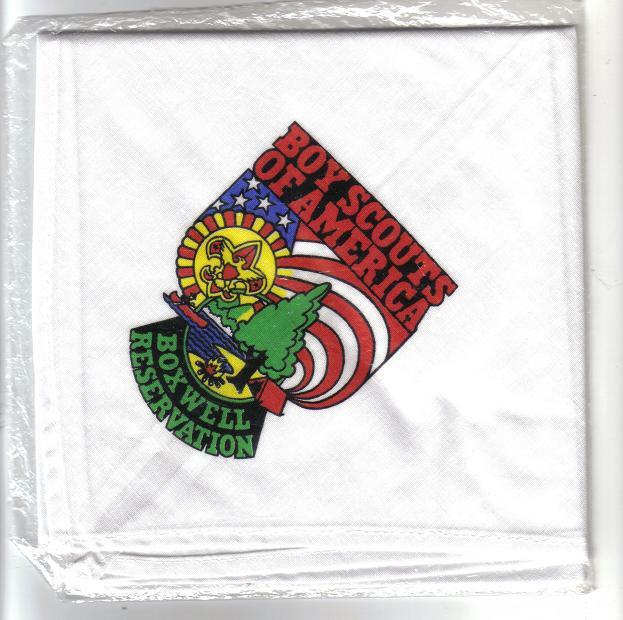 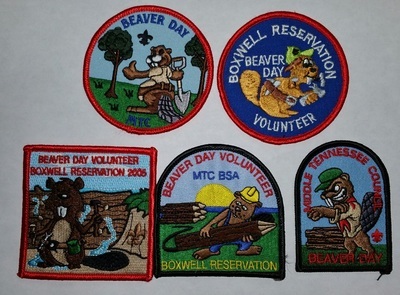 At that time, it was changed from Camp Boxwell, to Boxwell Reservation. 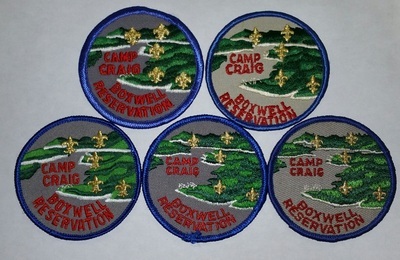 Camp Craig (not part of camp when it first opened in 1960, but started operation in 1973). 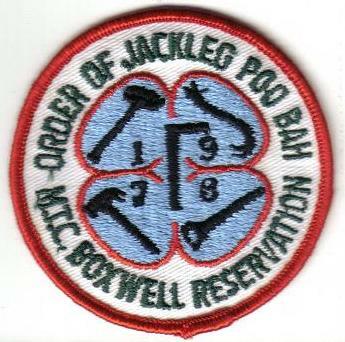 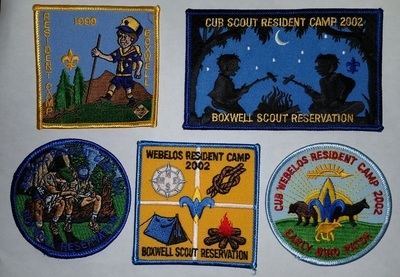 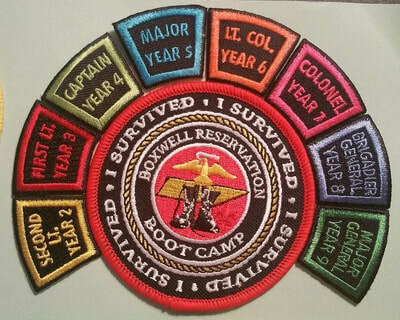 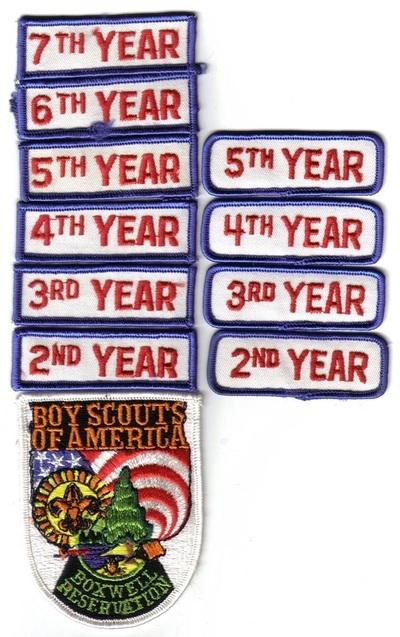 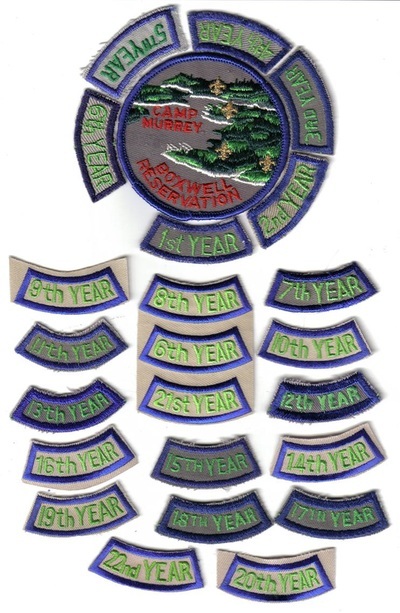 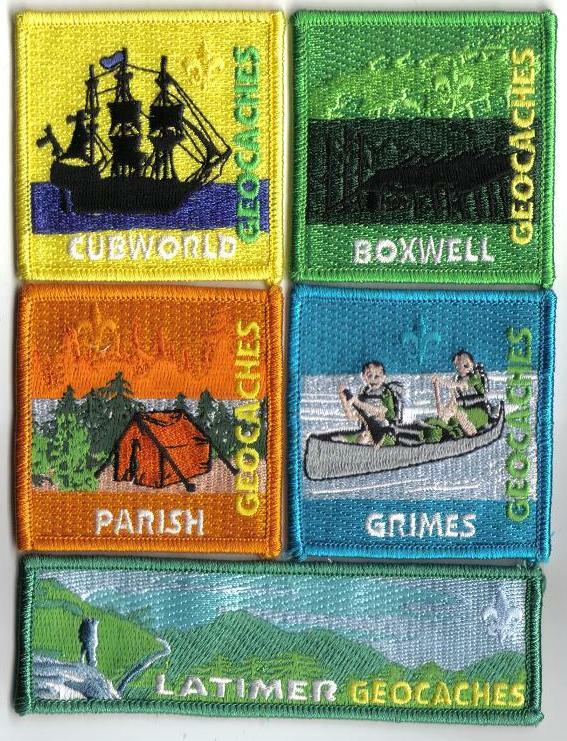 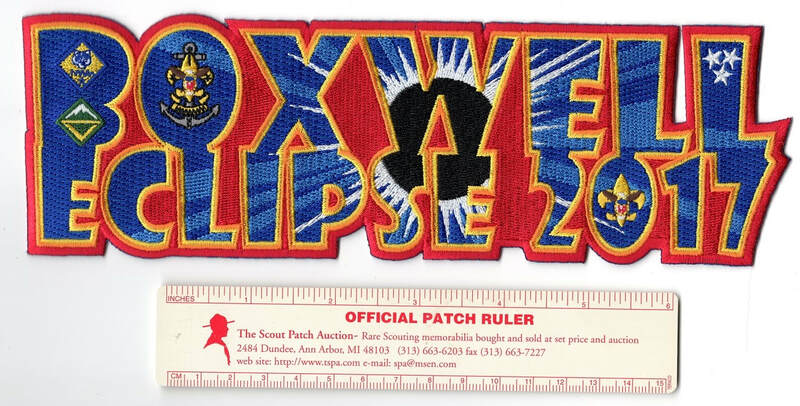 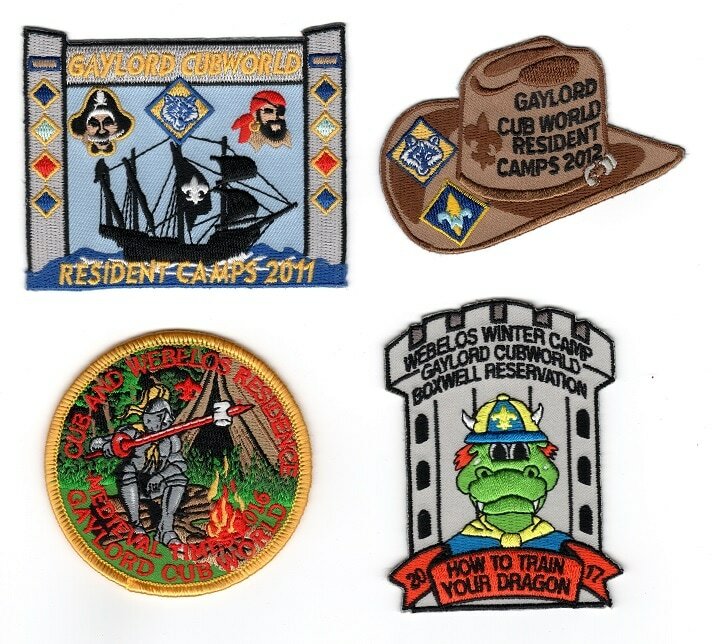 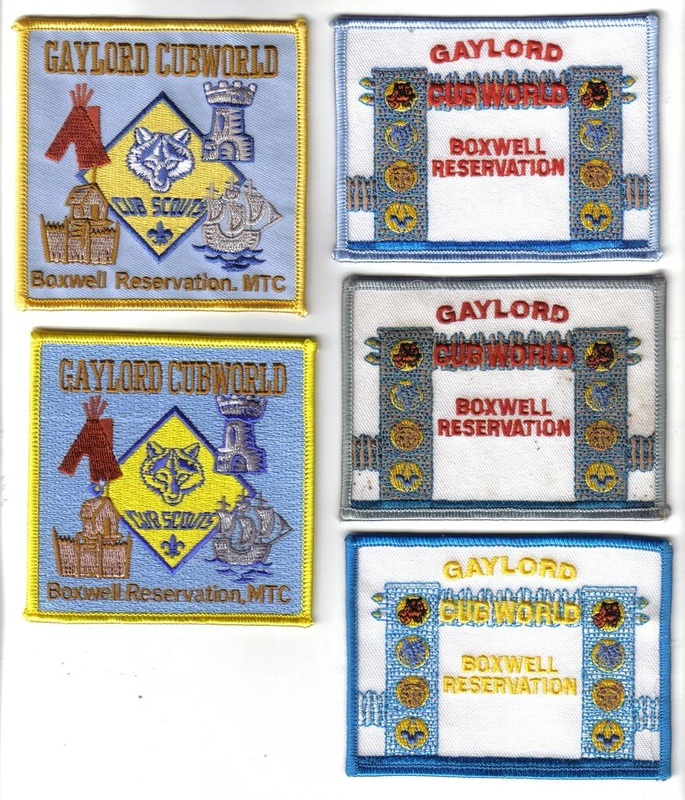 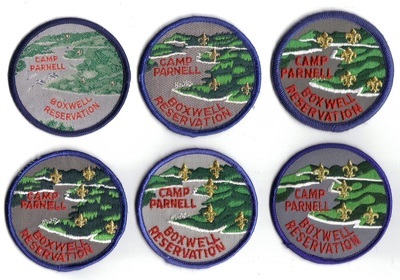 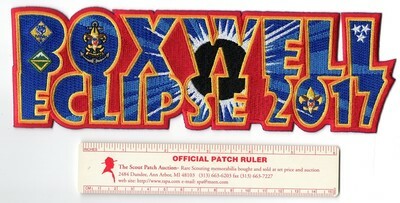 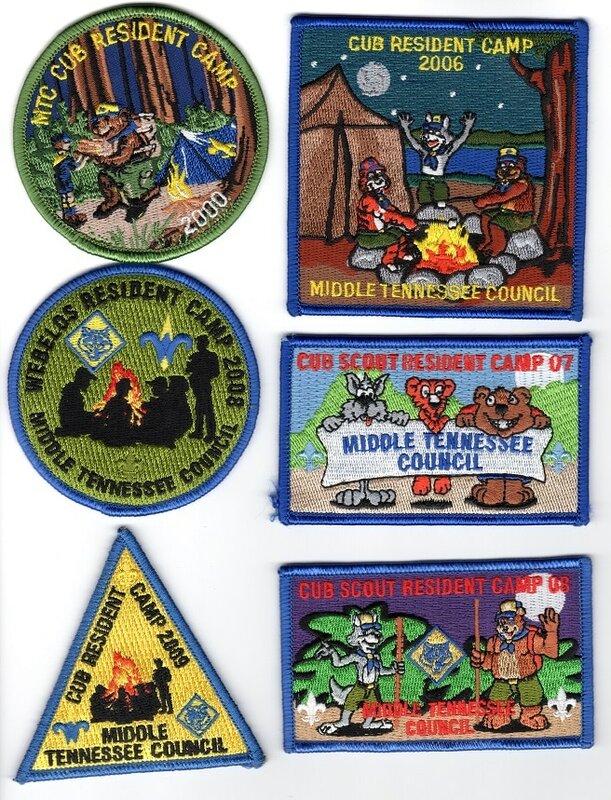 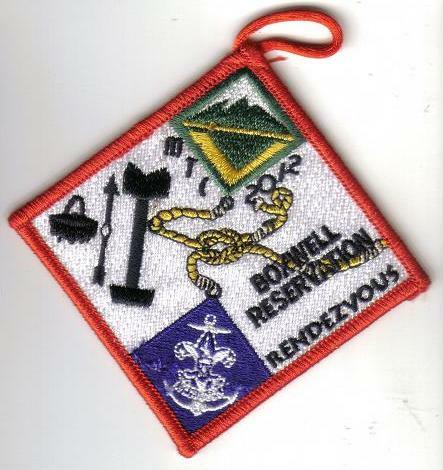 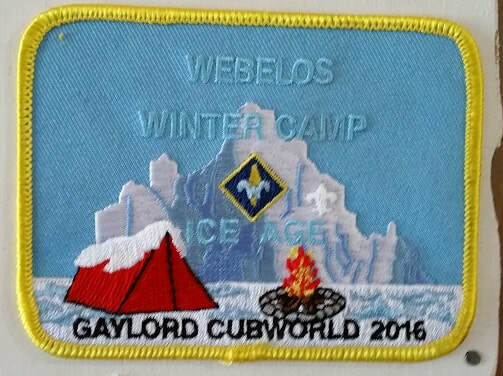 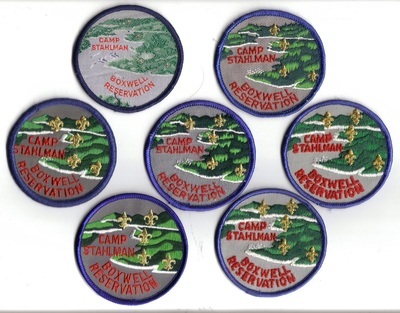 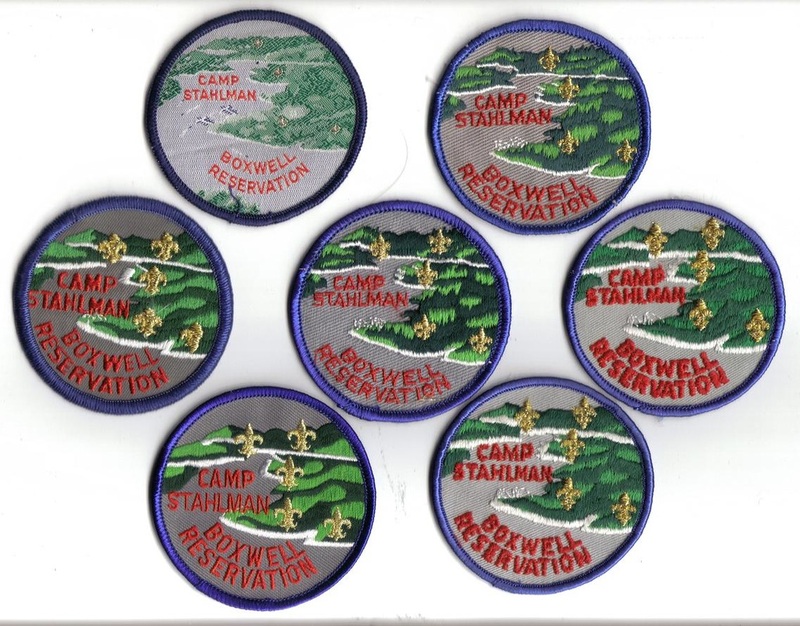 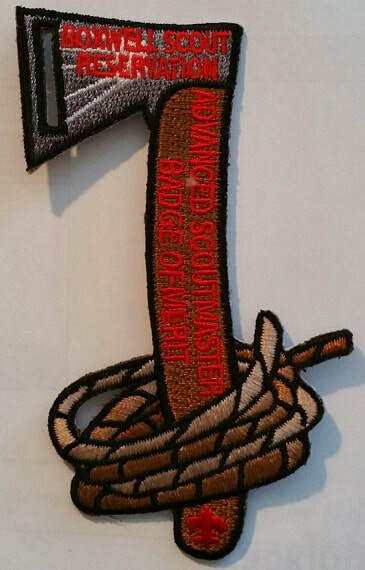 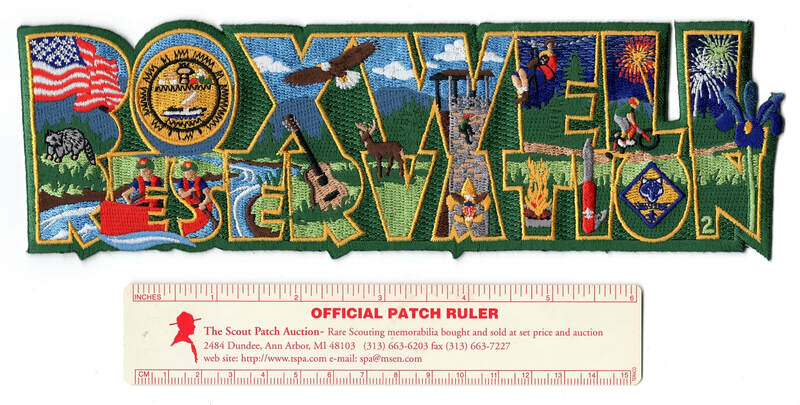 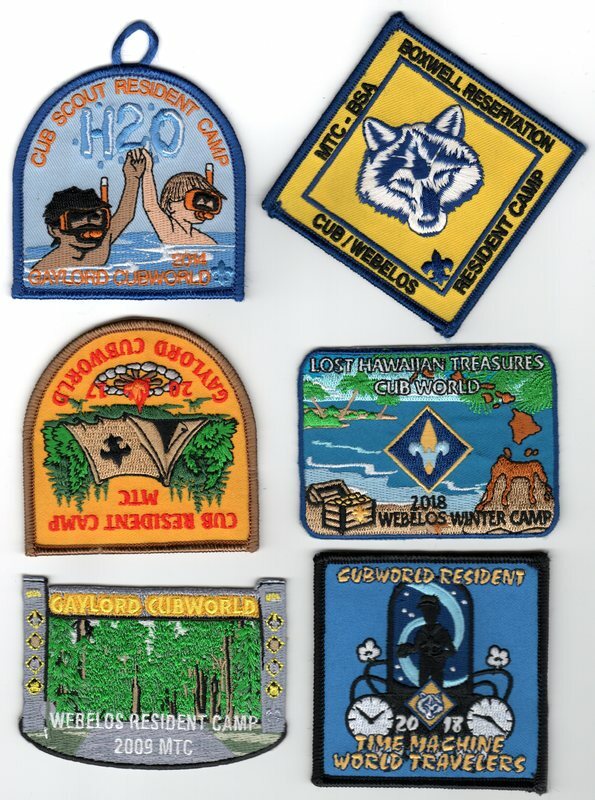 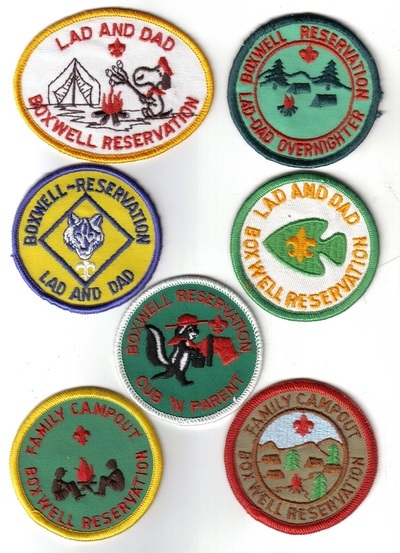 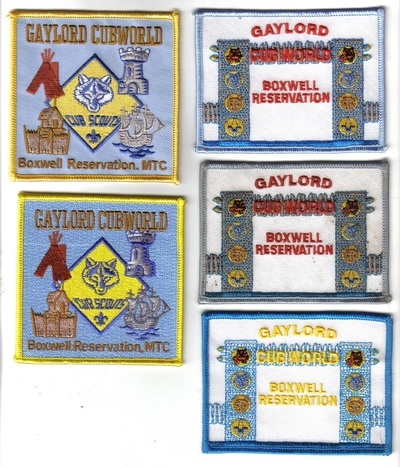 The four FDLs and later five FDLs (after Craig opened in 1973) on the Boxwell "map" patches represent these camps. 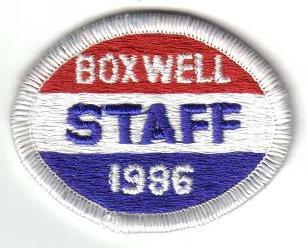 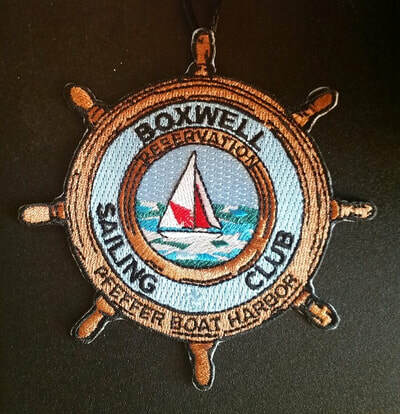 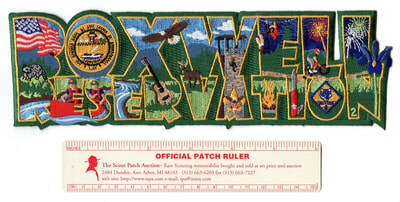 For much more historical information on Boxwell, please visit Virtual Boxwell.